And again snow wins. 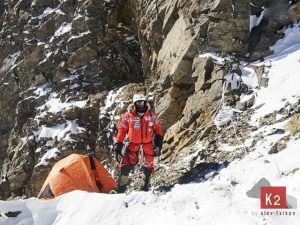 French climber Elisabeth Revol and her companion Ludovic Giambiasi have abandoned their winter expedition at Manaslu. 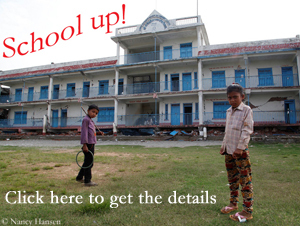 This is reported by the Kathmandu-based newspaper “The Himalayan Times”. 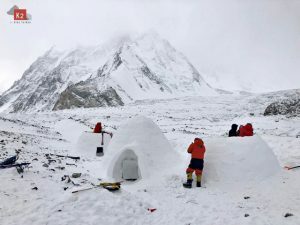 Heavy snowfall and strong winds in the high camp forced Elisabeth Revol to give up, Rishi Bhandari, head of the Nepalese expedition operator Satori Adventures, told the newspaper. The French team has already broken off their base camp and descended to the village of Samagaon. 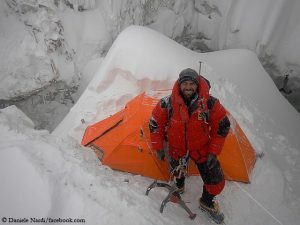 According to Bhandari, Revol had reached an altitude of 7,300 meters at Manaslu and had planned a summit attempt for Tuesday. In case of success Elisabeth Revol would have been the first woman to have reached the 8,163-meter-high summit in Nepal in winter. 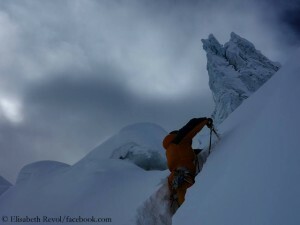 Heavy snow is not uncommon on Manaslu. An attempt by the South Tyrolean Tamara Lunger and the Italian Simone Moro in winter 2015 had also failed due to the snowmasses on the mountain. In January 1984, the Polish climbers Maciej Berbeka and Ryszard Gajewski had succeeded the first winter ascent of the eighth-highest mountain on earth.